Tom Clancy’s The Division 2 is not actually being made by Tom Clancy. Because he’s dead, but also because he wasn’t a game designer. Mostly because he’s dead, though. I know, it’s shocking. 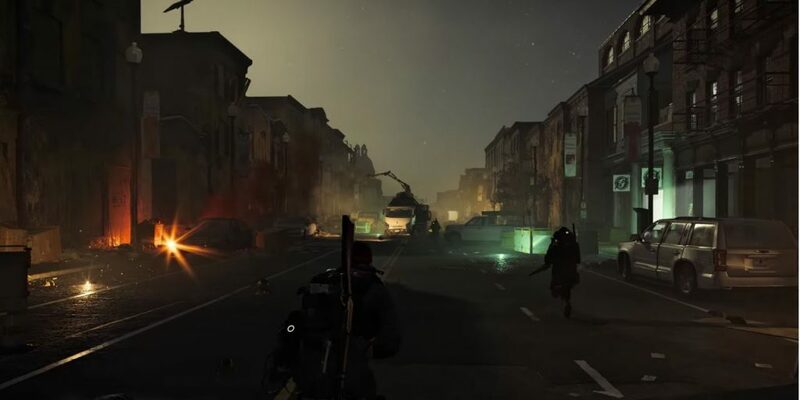 When you get over the shock of this revelation, you might be happy to know that Ubisoft (the guys who are making it) has released a new trailer which showcases the new and improved dark zones and other multiplayer features. So, dark zones. Like regular zones, only dark. They’re the place where anything goes – coop, pvp, and lots and lots of betrayal. There’s going to be three of them this time – one in the far west of the map, in Georgetown, one in the far east, around Capital Station, and one in the south, at the waterfront. They’re still going to be built on the same foundation of lies and tears, and they’re still going to be the source of the best loot in the game. The first major difference is that they’re going to be able to hold 12 player per instance, instead of the 24 they did in the first game. Some of the stuff you find in there will be poisoned, and you’ll have to extract it before you can use it. That’s just a fancy way of saying some of your new gear will go to the base instead of your inventory, making you run around more than you’d like. There are now three tiers of going rogue. The regular rogue is the guy that steals your equipment during extraction, hack SHD terminals and lockpicks supply crates. The disavowed rogue is that guy that kills you on sight. When they cause enough grief, rogue agents get manhunt status, which marks them as a high-priority target. The dark zone levels are going to be “normalized”, which seems like that thing that Destiny 2 does in Crucible, where everyone’s power level is the same in order to create a level playing field.